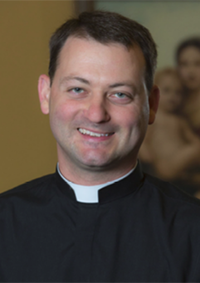 In the fall of 2010 the Diocese of Lafayette had 28 men in priestly formation. This fall we expect 52. That’s an increase of 86% in six years. I think the word boom is appropriate to describe our recent experience. These larger classes are now progressing through the formation pipeline in such a way that we anticipate more priests to be ordained in the next five years than will retire in the next ten years. Thanks be to God! Naturally, such a dramatic increase in the number of seminarians leads us to ask what is going on. What have we done differently? What has changed? Any attempt to answer these we questions must begin with an acknowledgement that every vocation is a mystery. God calls and God gives the grace to respond and to persevere. But there are tools that we as vocation directors can use to assist the Lord in making his call more clear. One of the most helpful tools out there is the Melchizedeck Project. Based upon Fr. 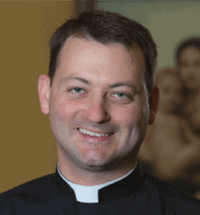 Brett Brannen’s “To Save a Thousand Souls,” the Melchizedeck Project assists vocation directors and parish priests form and lead discernment groups. Research and experience tell us that forming a community of support is crucial for young men to respond to the priestly calling. Often those experiencing a call from the Lord feel isolated. If they have the courage to reveal that they are considering seminary they usually receive little support from family and friends. The Melchizedek Project not only gives them good information it also allows them to form good and holy friendships. It gives a glimpse of priestly fraternity. Forming discernment groups also assists the vocation director in knowing young men well before they even begin the application process. Of the twelve new seminarians set to begin formation for our diocese this fall, I have known 75% of them for more than a year. And that includes those entering right out of high school. While a template is provided the Melchizdeck Project allows great flexibility depending upon age group and setting (parish, school, or campus ministry). I remain grateful to Fr. Brannen and to Vianney Vocations for this wonderful tool. May God grant success to the work of our hands. Want to start a Melchizedek Project discernment group? Learn more and request free materials.